2013 Member of International Advisory Committee. International Conference on “International Conference on Mathematical Techniques in Engineering Applications (ICMTEA2013)”, October 24-25, 2013, Dehradun, India. 2013 Chair of the 1st International Workshop on Statistical Methods in Reliability Assessment of Complex Industrial and Multi-state Systems (RAMSS 2013) in frame of the 8th International Conference on Availability, Reliability and Security, September 2 – 6, 2013, Regensburg, Germany. 2013 Member of International Scientific Committee. 5th International Conference on Risk Analysis (ICRA5) and 7th Workshop on Statistics, Mathematics and Computation (WSMC7), May 28-June 1, 2013, Tomar, Portugal. 2013 Member of International Program Committee. The Third Symposium on Games and Decisions in Reliability and Risk (GDRR), July 8-10, 2013, Kinsale, County Cork, Ireland. 2013 Member of International Program Committee. The 9th International Conference on Digital Technologies, May 29-31, 2013, Žilina, Slovak Republic. 2013 Member of International Advisory Committee. International Conference on Quality, Reliability, Risk, Maintenance, and Safety Engineering (QR2MSE2013). July 15-18, 2013, Emeishan, Sichuan, China. 2013 Member of Technical Program Committee and Session Organizer. The 6th Conference on Quality, May 2, 2013, Carmiel, Israel. 2012 Member of International Advisory Committee. The International Conference on Quality, Reliability, Maintainability and Safety (QR2MSE2012). Chengdu, China, June 15-18, 2012. 2012 Member of International Organizing Committee and Session Organizer. The 9th International Conference on "Mathematical Problems in Engineering, Aerospace and Sciences”. Vienna, Austria, July 11, 2012 – July 14, 2012. 2012 Member of Technical Program Committee and Session Organizer. The 5th Conference on Quality, May 17, 2012, Carmiel, Israel. 2011 Member of International Program Committee. The 8th International Conference on Digital Technologies, November 10 -11, 2011, Žilina, Slovak Republic. 2011 Member of International Scientific Committee and Session Organizer. The Seventh International Conference on “Mathematical Methods in Reliability” MMR2011, June 20 – 24, 2011, Beijing, China. 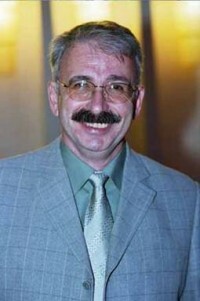 2011 Member of International Scientific Committee. The 4th International Conference on Risk Analysis in Biomedical & Environmental Sciences, Economics & Finance and Reliability of Engineering Systems, ICRA4, 26-29 May, 2011, Cyprus. 2010 Member of International Scientific Committee. The 7th International Workshop on Digital Technologies, November 11-12, 2010, Zilina, Slovak Republic. 2010 Chairman of Organizing Committee and Session Chair. The International Symposium on Stochastic Models in Reliability Engineering, Life Science and Operations Management (SMRLO'10), 8-11 February, 2010, Beer-Sheva, Israel. 2009 Member of International Scientific Committee. The Sixth International Workshop on Digital Technologies, November 12 -13, 2009, Zilina, Slovak Republic. 2009 Session Chair. The Annual ESREL 2009 Conference of the European Safety and Reliability Association, 7-10 September, 2009, Prague, Czech Republic. 2009 Session Chair, 10th National Conference of the Israel Society for Quality, November 24-25, 2009, David Intercontinental, Tel-Aviv. 2008 Member of Scientific Committee. The International Conference on Accelerated Life Testing in Reliability and Quality Control, 9-11 June, 2008, Bordeaux, France. 2007 Invited Speaker and Session Chair. Mathematical Methods in Reliability, 1-4 July, 2007, Glasgow, Scotland. 2007 Member of Scientific Committee. The Central European Forum on Maintenance, 21-23 October, 2007, Wroclaw, Poland. 2006 Session Chair. The Annual Meeting of the Israel Statistical Association (ISA), Beit-Daniel, 8-9 May, 2006, Zichron-Yaakov, Israel. 2006 Member of Scientific Committee. The International Conference on Degradation, Damage, Fatigue and Accelerated Life Models in Reliability Testing, 26-29 May, 2006, Angers, France. 2005 Co-Chairman, Member of Organizing Committee and Session Chair. The International Symposium on Stochastic Models in Reliability, Safety, Security and Logistics (SMRSSL'05), 15-17 February, 2005, Beer-Sheva, Israel. 2003 Session Chair. The International Conference on Reliability and Statistics in Transport and Communication (RelStat'03), 16-17 October, 2003, Riga, Latvia. 2002 Plenary Speaker. The International Conference on Reliability and Statistics in Transport and Communication (RelStat'02), 15-17 October, 2002, Riga, Latvia.